Since this website was started in January 2012, meaning I’ve been doing this for six years, I have published 1,233 articles. I don’t even want to read the first one, because it was lame. But if you’re interested, here it is. In January 2012, I had around 100 visits to this website. I didn’t promote the website on Facebook and Twitter at that time, so I have no clue how people found it. It must have been ranked on the 10 millionth page on vaccines on Google. Today, this website ranks at around the 440,000th most popular website on the internet. I know what you’re thinking – not very impressive. However, if you consider that there are over 1.3 billion websites, well that places the feathered dinosaur’s website in the top 0.034% of visited websites in the world. I think I scored in the top 99th percentile of my GRE Biology exam, but that’s the only other time I’ve done something that ranked that high. Yeah, I know, sounds like bragging, but given where I started, with 100 visitors for a month, the feathery dinosaur is going to preen a bit. In 2017, this website published 253 articles on a whole variety of topics. Of those 253 articles, 187 were about vaccines. Despite the lack of Big Pharma Shill Checks™, I must think vaccines are important to the health of both children and adults. Other big categories (but way behind vaccines) were cancer, with 50 articles, GMOs, with 11 articles, and a bunch of other topics. There is a lot of overlap in categorization of articles – for example any time I write about the HPV cancer prevention vaccine, it covers both vaccines and cancer. The list also includes 35 articles from Dorit Rubinstein Reiss, who, of course, focuses on vaccine law and public policy. Generally, Professor Reiss’ articles are some of the most read on this website. And they often have the most number of comments (some of them despicable, but we take care of that). Enough with the preamble about the website. Let’s look at the 2017 top 10 list of most read articles on this website. Tetyana Obukhanych – another anti-vaccine appeal to false authority – Tetyana has a PhD in immunology who happens to be a vaccine denier. Of course, with her apparent credentials, she is used by the anti-vaccine religion to promote their vaccine denial. Unfortunately for them, she has no published evidence that supports her beliefs. She is a false authority. Gardasil safety and efficacy – debunking the HPV vaccine myths – this really isn’t an article, it’s a compilation of all of the 100 or so articles that I’ve written about the HPV cancer preventing vaccine. I don’t get it – people think that a cranberry kale smoothie will prevent cancer, when there’s not a nanogram of evidence that it will. Yet, here’s vaccine, with robust supporting evidence, that will prevent many dangerous and disfiguring cancers. Electronic cigarette dangers – new research – I’m not sure why this article is popular. But here it is. It also needs to be updated with new research. MTHFR gene mutations are the root of all health problems – and vaccines – the MTHFR gene mutation gets lumped in with vaccine “dangers” all the time. I have no clue why, but if you’re interested why it’s hyped by the pseudoscience crowd, there’s a ton of information here. MSG myth – debunked with real science – it’s a food myth. Period. MSG is an amino acid that won’t harm you, unless you think amino acids are poisons. They’re not. Colon detoxification – myth versus science – colon cleansing is only useful for one thing, to get prepared for a colonoscopy. That’s it. Don’t waste your time with this junk medicine. Religion and vaccinations – a review of the current knowledge – the anti-vaccine religion tries to use other religions as an excuse to put their children in harm’s way of vaccine preventable diseases. Sadly, not one major or significant minor religion has a canon that proscribes vaccines. Many, in fact, forcefully state that vaccines are a moral imperative. Bananas prevent cancer – debunking another myth about food – I wrote this article (well, at least, the earliest form of it) six years ago. And it has had over 1 million hits over the six years, by far, the most of any article I’ve ever written. And no, bananas do not prevent, treat, cure any of the 200 or more different cancers. 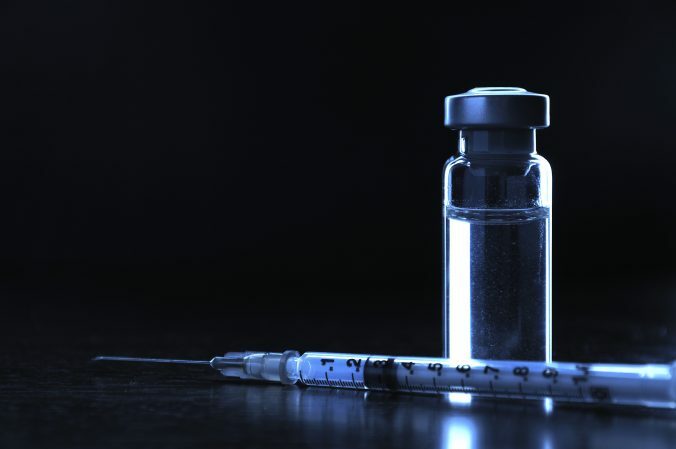 Nick Catone’s son dies tragically – blaming vaccines with no evidence – this article, by Dorit Rubinstein Reiss, was published late in the year, yet it makes the top 10. It has the most comments of any article published on this website, at well over 2600 as of today. The article angers the anti-vaccine religion because they try to use the tragic death of a young child as a martyr, even though there is no evidence that the devastating death had anything to do with vaccines. Expect more of the same going into this new year. Professor Reiss always has many legal articles on vaccines to do. Vaccines will always be a focus of this website generally. Of course, there will be a dozen or so articles about the HPV cancer preventing vaccine, because that vaccine is woefully underutilized in the world, despite its safety and effectiveness. However, I think there a couple of other areas of skepticism I’d like to visit (or actually revisit). Believe it or not, I wrote mostly about evolution way back in the day (predating Skeptical Raptor). There might be reasons to watch over evolution denialism, especially in the anti-science world of Donald Trump and his science denying minions. And there are some other ideas I’d like to explore with GMOs, alternative medicine, and other topics. The 2017 top 10 list may look completely different than the 2018 top 10 list. The fundraising for this website didn’t go according to plan, although it was pretty good. We only hit about 50% of our goals for the year, which means I could only focus on hardware upgrades. I’ve increased the size of the server which should eliminate bottlenecks (and downtime), although if we continue to grow, it could be an issue again. I’d rather grow and figure out how to fix issues. I know it’s the holiday season, and you all spent all your money on that new 4K TV. Or paying tuition bills for your kids. Or simply surviving in a harsh world, especially in America where our healthcare system is under assault by the right wing. But if you have an extra couple of gold bars, consider helping out the old (and I mean really old) feathery dinosaur. Yes, the feathery dinosaur realizes that many countries and cultures utilize other forms of a calendar. But for most civil, international, business, scientific and political purposes, the Gregorian calendar is the one used. It is simply used for standardization. Like English is the standard language of civil aviation.